Simon Blackshaw bagpipe music book - Inspiration is a collection of must that appeals to all levels of soloists and bands. Influenced by Gordon Duncan, Chris Armstrong and others alike, Blackshaw has compiled this collection in a similar style of modern composition. 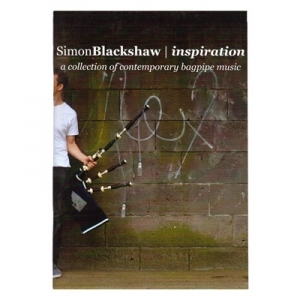 The book features a vast range of modern music the Blackshaw has composed over the years.